Lift your spirits and feel happier than ever. How would you like to experience more fun and happiness in your life, just by listening to an audio MP3? Want to feel brighter, more content, and full of smiles? 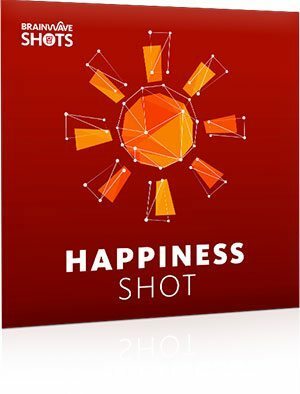 It’s all possible, when you listen to our Happiness Shot. Your brainwaves form a special pattern when your brain feels good and releases endorphins. This pattern occurs every time you feel happy and full of joy. 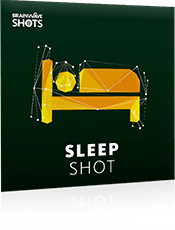 The Happiness Shot uses special ‘brainwave sounds’ to replicate this pattern in audio. As you listen, these brainwave sounds will lift your mood, reactivating that powerful state of happiness, and releasing those feel-good endorphins. This is all based on a proven area of science known as ‘brainwave entrainment’, which has been actively studied for over 100 years. The result? After listening to this shot, your mood levels will dramatically increase. You’ll feel infused with greater enthusiasm and a more positive outlook. 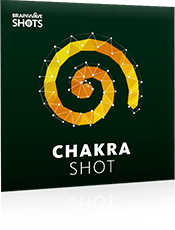 Our Happiness Shot will, quite simply, boost your mood and help you feel happier overall. 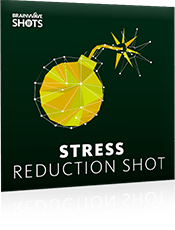 The Happiness Shot audio lasts just 15 minutes. As soon as you've listened, you'll enjoy all the benefits that come with feeling happier and more positive about the world. The results will last anywhere from 4 hours through to the rest of the day. Your album also includes an extended 30-minute version of the Happiness Shot, which will further enhance the results you get. You’ll also receive 15- and 30-minute brainwave-only audios, so you can listen without our ambient background sounds, or mix with your own music. 100% safe and guaranteed for a year! The Happiness Shot is completely safe* to use. It simply activates your brain's natural frequencies, on demand. It’s also backed by a full 1-year money-back guarantee, too. We know you’ll be thrilled with the results you get, but if you’re ever unhappy, just let us know and we’ll refund every cent. Full 30-minute protocol: The session alternates between 10 and 12 Hertz beta, climbing to 38 Hz gamma at around the 24 minute mark. The regular audio mix also contains a forest ambience background. The 15-minute versions contain a compressed version of this protocol. Get ready to enjoy happiness on demand! Discover the Happiness Shot today and put a smile on your face. 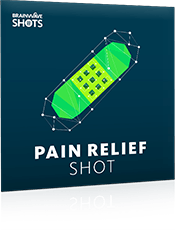 Brainwave Shots are a real joy. You just take a shot and trigger a brain response. More focus, greater relaxation, better confidence. Whatever you want. I carry these on my iPhone and use them daily.